A sophisticated men's timepiece as part of the Lacoste Moon family. 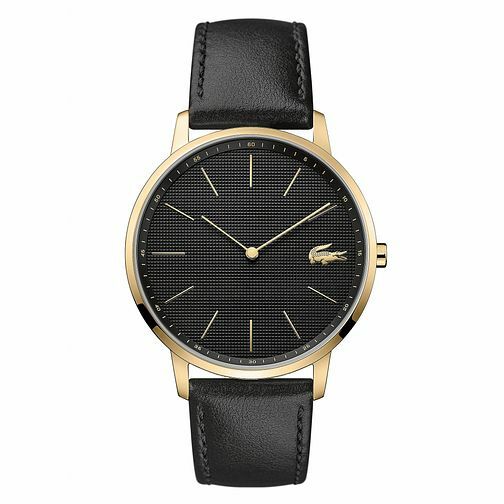 With a sleek gold plated case, a black dial bears a clou de Paris pattern and features gold slimline indexes, two hands and Lacoste logo at the 3-o-clock position. Complete with a classic black leather strap, a timeless yet contemporary watch for the modern-day gent.